Indigo was the largest Canadian retail bookseller but wanted a digital storefront that rivaled its charming stores. 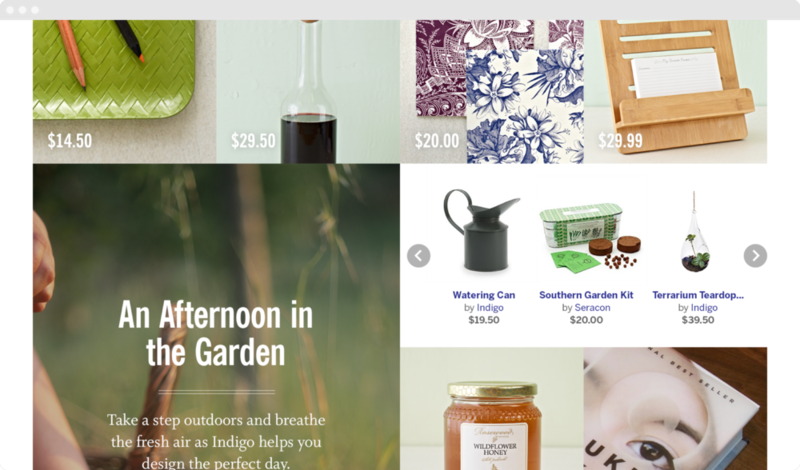 Unlike anonymous Amazon SKUs, Indigo had a unique, friendly personality and developed original editorial content and curated collections of books and home goods. We created several interactive pieces, including an immersive front-page catalogue, a drag-and-drop cart, a baby-by-age virtual display, and a madlibs-style suggestions generator.